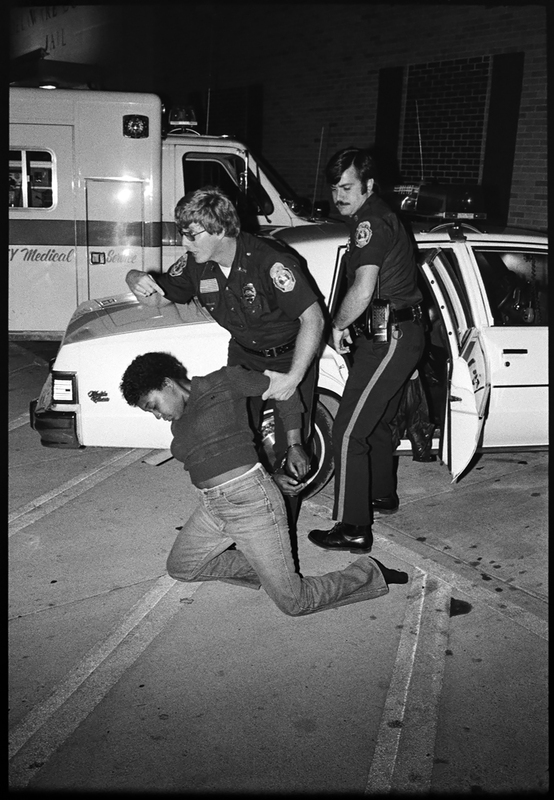 In 1981 I began a two and a half year long project on the Muncie, Indiana police department, precisely, the midnight shift. I wanted to step across the blue line and show the officers as real people doing a difficult job. It took a while to build trust, but once earned, I was part of their brotherhood, a friend, and they treated me as such. It was an experience of a lifetime. They didn’t hold back, what I witnessed was the real deal. The good, the bad, the funny, and sometimes, the ugly. And, the boredom. Real life is nothing like a TV crime drama. Some days nothing happened. One very snowy night the officer and I stood in a 24-hour convenience store playing video games for the entire shift. Not one call came over the radio. The store had one customer while we were there. Then there were the days it was non-stop, call after call. No time for dinner or even coffee. We would run from one call to the next to the next. 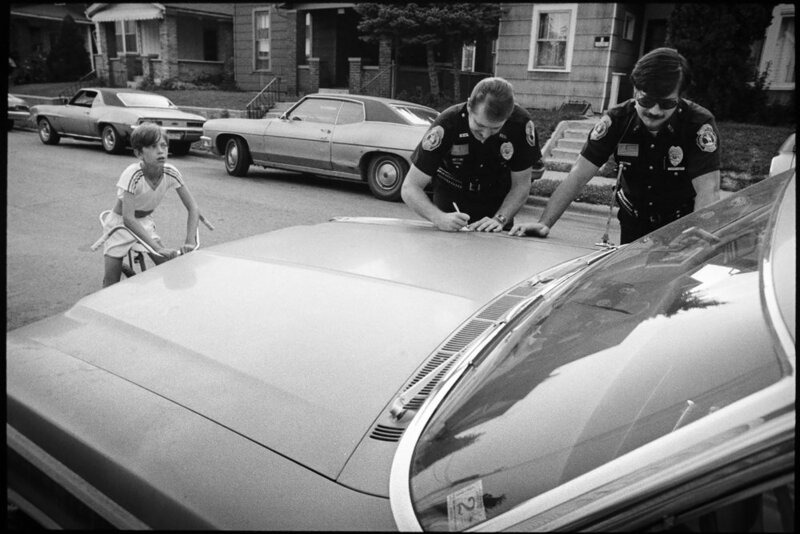 One of the reasons I started the project was the lack of patrol officers on the midnight shift. On most nights there were four one-man cars out to patrol the four districts plus one supervisor. If an officer needed back up the response time could be ten minutes or longer. If an officer needs help, ten minutes is a lifetime. State Police, Sherrif’s Department, and Ball State University Police all helped out the best they could. They knew the problem. They weren’t going to let a fellow officer down if they could help. As a photojournalist, you want to change the world with your images. While I may not have moved the world, I did manage to nudge it a bit. After the story was published change happened for the better. All images © Terry Clark, all rights reserved.